Ilan Pappé is an Israeli historian and activist. He is currently a professor with the College of Social Sciences and International Studies at the University of Exeter in the UK, director of the university’s European Centre for Palestine Studies, and co-director of the Exeter Centre for Ethno-Political Studies. He is the author of The Ethnic Cleansing of Palestine (2006), The Modern Middle East (2005), A History of Modern Palestine: One Land, Two Peoples (2003), and Britain and the Arab-Israeli Conflict (1988). He was formerly a leading member of Hadash, and was a candidate on the party list in the 1996 and 1999 Knesset elections. Pappé is one of Israel’s New Historians who, since the release of pertinent British and Israeli government documents in the early 1980s, have been rewriting the history of Israel’s creation in 1948, and the corresponding expulsion or flight of 700,000 Palestinians. Ben White is a freelance journalist, writer, and activist, specializing in Palestine/Israel. He has been visiting the region since 2003 and his articles have been widely published in The Guardian’s Comment is free, Al Jazeera, Electronic Intifada, New Statesman, Salon, Christian Science Monitor, and others. His most recent book, Palestinians in Israel: Segregation, Discrimination and Democracy, was published in 2012 with a foreword by Member of Knesset Haneen Zoabi. White’s first book, Israeli Apartheid: A Beginner’s Guide (Pluto Press, 2009) received praise from Desmond Tutu, Nur Masalha, and Ghada Karmi. White has given many talks on campuses and at conferences in the UK, US, and Canada. Huwaida Arraf is a Palestinian American lawyer and human rights advocate. In 2001 Huwaida co-founded the International Solidarity Movement (ISM), which has twice been nominated for the Nobel Peace Prize for its work in the Occupied Palestinian Territory. 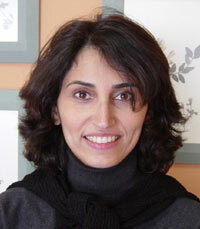 Huwaida is co-editor of the book Peace Under Fire: Israel, Palestine, and the International Solidarity Movement. From 2007–2008, Huwaida taught in a human rights law clinic at Al-Quds University in Jerusalem, the first accredited clinical legal education program in the Arab world. She was one of the initiators and organizers of a delegation of American lawyers to Gaza in February 2009, and co-authored the report on their findings, “Onslaught: Israel’s Attack on Gaza and the Rule of Law.” Huwaida is the former Chairperson of the Free Gaza Movement. Since August 2008, she has led five successful sea voyages to the Gaza Strip to challenge Israel’s crippling closure. Huwaida was also one of the primary organizers of the Gaza Freedom Flotilla and was traveling with it when Israeli forces lethally attacked it on May 31, 2010. John Quigley is President’s Club Professor in Law at the Ohio State University. He is author of The Statehood of Palestine: International Law in the Middle East Conflict (2010), and of The Case for Palestine: An International Law Perspective (2005). His latest book is The Six-Day War and Israeli Self-Defense: Questioning the Legal Basis for Preventive War (forthcoming 2013). Quigley’s writings thus range across the major legal issues involved in the Israeli-Palestinian conflict. His 2006 book The Genocide Convention: An International Law Analysis examines the concept of genocide as a means of curbing major atrocities. He has actively communicated with the International Criminal Court (ICC) on the validity of the Palestine acceptance of ICC jurisdiction. Vera Gowlland-Debbas is Professor Emeritus, Graduate Institute of International and Development Studies, Geneva (since 2009), and Honorary Visiting Professor, University College London (since 2003). Main publications include: The Security Council and Issues of Responsibility in International Law, Collected Courses of the Hague Academy of International Law 2007 (forthcoming 2012/13); The Security Council as Enforcer of Human Rights, in Securing Human Rights? Achievements and Challenges of the UN Security Council, Bardo Fassbender (ed. ), The Collected Courses of the Academy of European Law (2011); Revisiting the Role of UN Sanctions in the International Legal System, Institute of International Public Law and International Relations of Thessaloniki (2010): National Implementation of United Nations Sanctions: A Comparative Study (ed.) (2004) and Collective Responses to Illegal Acts in International Law (1990, 1991 ASIL Certificate of Merit). Professional activities include counselling governments and private law firms on a range of public international law issues; acted as expert for international organizations, including UNHCR, OHCHR and WHO; Rapporteur for the United Nations Commission on Human Rights. Counsel for the Arab League in the Advisory Opinion on the Legal Consequences of the Construction of a Wall in the Occupied Palestinian Territory before the International Court of Justice. Susan Akram was born and raised in Lahore, Pakistan, in a multicultural, multiethnic, multilingual household. Her early exposure to the plight of refugees steered her into a legal career in immigration and refugee law. Professor Akram, who teaches in the Boston University Law’s Clinical Program, worked for many years as an immigration lawyer before joining the faculty in 1993. She has served as executive director of Boston’s Political Asylum/Immigration Representation Project and as directing attorney of the immigration project at Public Counsel, a public interest law firm in Los Angeles. In 1992 she was interim director of the agency overseeing the resettlement of Gulf War Iraqi refugees in Saudi Arabia. Her distinguished research was recognized with a Fulbright Senior Scholar Teaching and Research Award for the 1999–2000 academic year, which she used to research and write recommendations for a durable solution for Palestinian refugees in light of the 1993 Oslo talks, and to teach at the Palestine School of Law at Al-Quds University in East Jerusalem. 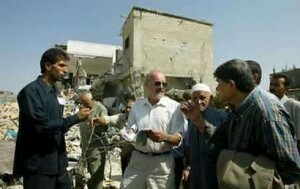 Raji Sourani is widely considered the Gaza Strip’s foremost human rights attorney and is the recipient of the 1991 John F. Kennedy Human Rights Award . Since 1995, he is the founder and director of the Palestinian Center for Human Rights, a trusted source for those seeking information on human rights abuses within the Palestinian territories, especially within the Gaza Strip. The Center has been recognized for its work through several awards, including Bruno Kreisky Prize for Outstanding Achievements in the Area of Human Rights in 2002 and the International Service Human Rights Award in 2003. Since 2006, Sourani has been a member of the Executive Committee, International Commission of Jurists, Geneva; since 2003 he has been a member of the International Human Rights Commission; since 2000 he has been vice-president of the Federation Internationale des Ligues des Droits de l’Homme, Paris, France; and he is a distinguished member of several other human rights organizations. 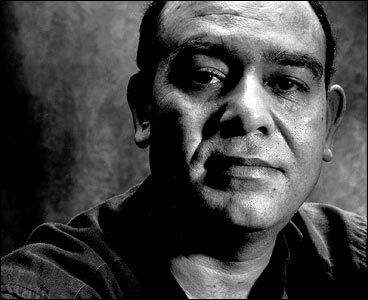 Sourani, born in Gaza, has been imprisoned for his political activities by the Israeli state and the Palestinian Authority; he was listed as a prisoner of conscience by Amnesty International in 1988. 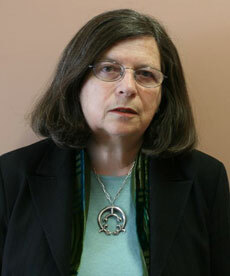 Diana Buttu is a Palestinian-Canadian lawyer and former spokesperson with the Palestine Liberation Organization. She is best known for her work as a legal adviser and negotiator on peace negotiations between Israeli and Palestinian organizations. Buttu was born in Canada to Palestinian parents. She began her work as a negotiator in 2000, shortly after the outbreak of the Second Palestinian Intifada, as a spokesperson for the Negotiations Support Unit of the Palestine Liberation Organization. The Economist in 2005 termed her part of the closest thing to a Palestinian makeover. Al-Ahram Weekly carried an op-ed piece in 2005 in which she was lauded. Given her public role in promoting the Palestinian cause, she has appeared numerous times in the American news media from TV networks such as Fox News, CNN, and MSNBC to newspapers such as USA Today and other outlets. Katherine Gallagher is a Senior Staff Attorney at the Center for Constitutional Rights (CCR), where she focuses on holding individuals, including US and foreign government officials, and corporations, including private military contractors, accountable for serious human rights violations. Prior to joining CCR, she worked at the United Nations International Criminal Tribunal for the former Yugoslavia from 2001–2006. Among other jobs, she has also worked as a legal advisor for the Organization for Security and Cooperation in Europe in Kosovo and with the Special Court for Sierra Leone in Freetown. Katherine currently serves as a vice-president on the International Board of the International Federation for Human Rights, of which CCR has been a member since 2004. She is currently a member of the editorial committee of the Journal for International Criminal Justice. Noam Chomsky is a US political theorist and activist, and Institute Professor of Linguistics at the Massachusetts Institute of Technology. Besides his work in linguistics, Chomsky is internationally recognized as one of the most critically engaged public intellectuals alive today. Chomsky has lectured at many universities in the United States and abroad, and is the recipient of numerous honorary degrees and awards. He has written and lectured widely on linguistics, philosophy, intellectual history, contemporary issues, international affairs and US foreign policy. Among his recent books are: New Horizons in the Study of Language and Mind; On Nature and Language; Hopes and Prospects; Gaza in Crisis; How the World Works; 9-11: Was There an Alternative? ; Making the Future: Occupations, Interventions, Empire, and Resistance; The Science of Language; and Peace with Justice. 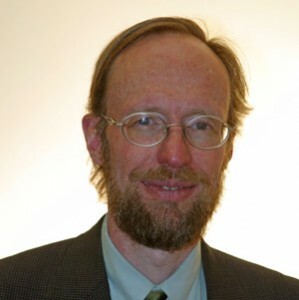 David Wildman is the executive secretary for Human Rights and Racial Justice with the United Methodist Church’s General Board of Global Ministries. He also relates on behalf of GBGM with grassroots partners in the Middle East and Afghanistan. Wilman visits Afghanistan and the Middle East regularly, and serves on the board of the National Farm Worker Ministry and is active in corporate accountability work with the Interfaith Center on Corporate Responsibility. David helped found United For Peace & Justice in October 2002 and the US Campaign to End Israeli Occupation in 2001 and serves on its Steering Committee. He serves on the World Council of Churches Palestine-Israel Ecumenical Forum Core Group. David co-authored, with Phyllis Bennis, Ending the US War in Afghanistan: A Primer. From Stones to Statehood: The Palestinian Uprising (1990); Calling the Shots: How Washington Dominates Today’s UN (2000); Before & After: US Foreign Policy and the September 11th Crisis (2003) [US Policy and the War on Terrorism, 2nd ed. ]; Challenging Empire: How People, Governments, and the UN Defy US Power (2006); Understanding the Palestinian-Israeli Conflict: A Primer (2009); Ending the Iraq War: A Primer (2009); Understanding the US-Iran Crisis: A Primer (2009); Ending the US War in Afghanistan: A Primer (2010). Gianfranco Fattorini is a member of the executive board and a permanent representative at the UN of the Press Emblem Campaign, an international journalists’ NGO advocating for the adoption of an international convention for the protection of journalists in armed conflicts. From 1996 to 2006, Fattorini represented Mouvement contre le racisme et pour l’amitié entre les peuples (MRAP) at the Commission on Human Rights and he represented MRAP at the negotiations for the adoption of the International Convention against International Organized Crime and the International Convention against corruption at the UN Office in Vienna from 1998 to 2003. Since the establishment of the UN Council on Human Rights in 2006, he’s been MRAP’s chief of delegation and has been MRAP’s co-president since 2011. Among other posts, Fattorini is the co-founder of the Executive Board of Tibetan UN Advocacy in Geneva. Gustave Massiah is an engineer and economist; he is also a former professor at the Architectural School of Paris-La Villette, a member of the International Council of the World Social Forum (representative of CRID), the former President of CRID (Center of Research and Information on Development, a coalition of 54 French associations for international solidarity), the former vice-president of Attac-France, a founding member of CEDETIM (Center for Research and Initiatives for International Solidarity), and IPAM (Initiatives for Another World). Among his books are: La crise de l’impérialisme, 1977, with Samir Amin, Villes en développement, 1985, with Jean-Francois Tribillon, and Une stratégie altermondialiste, 2011. Johan Galtung, born in 1930 in Oslo, Norway, is widely recognized as the founder of the academic discipline of peace studies. He has mediated in more than one hundred international conflicts, often successfully, and published more than 150 books, with translations into 33 languages. Early in his career he was an active journalist, and now publishes a weekly column on the TRANSCEND Media Service (www.transcend.org/tms). In 2000, he founded the TRANSCEND Peace University and serves as its Rector. In 2008, he founded the TRANSCEND University Press, you can find out more about Galtung’s work at www.transcend.org. William A. Schabas is professor of international law at Middlesex University in London. 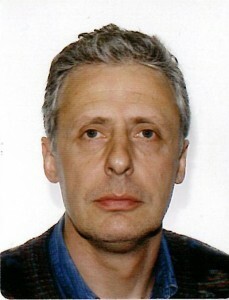 He is also professor of international criminal law and human rights at Leiden University, professor of human rights law at the National University of Ireland Galway, chairman of the Irish Centre for Human Rights, and a visiting professor at the Paris School of International Affairs (Sciences-Po). He is the author of more than 20 books and 300 journal articles on such subjects as the abolition of capital punishment, genocide, and the international criminal tribunals. 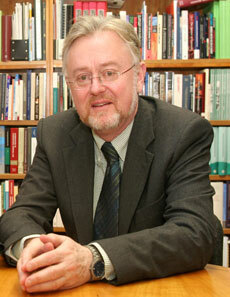 Professor Schabas was a member of the Sierra Leone Truth and Reconciliation Commission. He is president of the Irish Branch of the International Law Association and chair of the Institute for International Criminal Investigation. He is an Officer of the Order of Canada and a member of the Royal Irish Academy and holds several honorary doctorates. Russell Means was described by the LA Times as one of “the two most famous Indians since Sitting Bull and Crazy Horse.” During the 1960s he captured national attention when he led the 71-day armed siege on the sacred grounds of Wounded Knee, a tiny hamlet in the heart of South Dakota’s Pine Ridge Reservation. Means negotiated with the White House in 1972, after the BIA takeover. As the first National Director of the American Indian Movement, Means led “The Longest Walk” in 1978 to protest a new tide of anti-Indian legislation, including the forced sterilization of Indian women. In 2010, he shared the stage with Rigoberta Manchú, Nobel Peace Laureate, and Mayan Elders at Naropa University, Boulder, CO. Dr. Means’ autobiography, Where White Men Fear to Tread, published by St. Martins Press, is currently in its eighteenth printing. Saleh Hamayel joined the Palestinian national movement in 1968; was imprisoned three times by Israeli authorities without trial; was active in the PLO but was critical of some of Chairman Yasser Arafat’s stances since 1971; studied at Cairo University and was active in both the General Union of Palestinian Students and the Egyptian student movement, for which he was repeatedly imprisoned in 1972–73. He has worked as Professor of History and Political Science at Birzeit University since 1981; served as Director of Birzeit’s Research Center from 1994–97; was a researcher and visiting professor at various international academic institutions including the French Maison des Sciences de L’Homme and Harvard University. He emphasizes the term “sociocide” in understanding the Israeli policies in the OPT, referring to the pressures of destruction, Judaization, and expulsion imposed on the Palestinian people; spoke out against the militarization of the second Palestinian Intifada in 2000. Among his books are: The Israeli Assassination Policy in the Aqsa Intifada (2001) and Palestinians and the Historiography of the 1948 War (2005).